Henderson was named in honor of U.S. Senator Charles Henderson. The township of Henderson first emerged in the 1940s during World War II with the building of the Basic Magnesium Plant. Henderson quickly became the main supplier of magnesium in the United States, which was called the "miracle metal" of World War II. The plant supplied the US War Department with magnesium for incendiary munition casings and airplane engines, frames, and other parts. A quarter of all US wartime magnesium came from the Henderson Plant to strengthen aluminum, using 25% of Hoover Dam's power to separate the metal from its ore by electrolysis. 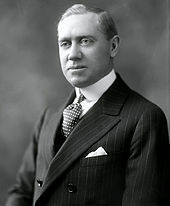 Mayor Jim Gibson's grandfather, Fred D. Gibson, was one of the original engineers sent to Great Britain to learn the secret of creating the "miracle metal" which would help the United States and its allies win the war. The British liaison officer sent to Henderson, Major Charles Ball, had a street named after him. There was some concern "Ball St," would sound improper, so the street was named "Major Avenue". Although "born in America's defense", Henderson's future after World War II was uncertain. In 1947, magnesium production was no longer necessary for defense, and most of BMI's 14,000 employees moved away. Enrollment in the school system was reduced by two thirds, and well over half the townsite houses, built to house plant workers, became vacant. In 1947, the United States War Asset Administration offered Henderson for sale as war surplus property. In an effort to save the city, the Nevada Legislature spent a weekend visiting Henderson, evaluating the possibility of state administration of Basic Magnesium. Within days of the visit, the legislators unanimously approved a bill that gave Nevada's Colorado River Commission the authority to purchase the industrial plants. Governor Vail Pittman signed the bill on March 27, 1947, helping save Henderson from becoming war surplus property. With the help of local industry, Henderson was incorporated on April 16, 1953 as the City of Henderson. On May 23, 1953, Henderson, with its population of 7,410, elected Dr. Jim French as the first mayor. Originally only about 13 square miles (34 km2) in size, the city quickly began to grow, reaching over 94 square miles (240 km2) in size today. In 1988, the Pacific Engineering and Production Company of Nevada (PEPCON) rocket fuel factory, in the modern-day Gibson Springs neighborhood of Henderson, caught fire. The blaze quickly engulfed the factory, spewing rocket fuel, smoke, and toxic fumes from the building, eventually obliterating it in a massive explosion, followed by six smaller explosions. These explosions sent shockwaves throughout Henderson and parts of the Las Vegas Valley that shattered glass and damaged buildings. The explosions also caused earthquakes, some of which measured over 3.0 on the Richter magnitude scale. Two people were killed and 372 were injured. The events of the PEPCON factory disaster spurred development in Henderson years later, from its historical industrial development to residential and commercial development. There are now no signs of the explosion where it happened. Today, the site consists mostly of office buildings. In February 2018, the Oakland Raiders (who in 2017 announced they will relocate to Las Vegas in time for the 2020 NFL season) announced the signing of a deal for 55 acres of land near Henderson Executive Airport, on which will be built the team's executive offices and practice facility. 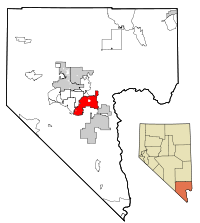 Henderson is 16 miles (26 km) southeast of downtown Las Vegas at 36°2′23″N 114°58′52″W﻿ / ﻿36.03972°N 114.98111°W﻿ / 36.03972; -114.98111 (36.03972, -114.98111). 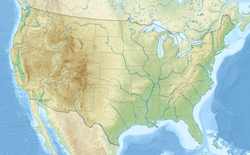 According to the United States Census Bureau, the city has a total area of 107.7 square miles (279.0 km2), all land. The city is in the Mojave Desert with wildlife and vegetation typical of the Mojave. The mountains that surround Henderson mostly have gentle slopes. The McCullough Range is closest to the city; most of this range is covered by black rocks from a volcanic explosion millions of years ago. These mountains reach an average height of about 3,800 feet (1,200 m). The landscape consists of the desert; the only water in the city is found in washes like Duck Creek. Henderson is classified as having a hot desert climate (BWh) in the Köppen climate classification. It has mild winters and extremely hot summers. Snow can occasionally fall in the winter. The monsoon can bring storms in the summer, which can cause flash flooding and thunderstorms. The hottest month is July and the coldest month is December. On average there are 292 clear days per year. At the census of 2010, 257,729 people resided in Henderson. The racial makeup was 76.9% White, 5.1% African American, 0.7% Native American, 7.2% Asian, 0.6% Pacific Islander, and 4.8% from two or more races. Hispanic or Latino of any race were 14.9% of the population and 68.7% of the population was non-Hispanic White. According to the 2000 census, there were 175,381 people, 66,331 households, and 47,095 families residing in the city. The population density was 2,200.8 people per square mile (849.7/km²). There were 71,149 housing units at an average density of 892.8 per square mile (344.7/km²). The city's racial makeup was 80.49% White, 3.76% African American, 0.70% Native American, 3.98% Asian, 0.42% Pacific Islander, 3.16% from other races, and 3.49% from two or more races. Hispanic or Latino of any race were 13.71% of the population. In the city, the population was spread out with 25.1% under the age of 18, 7.9% from 18 to 24, 32.5% from 25 to 44, 24.4% from 45 to 64, and 10.1% who were 65 years of age or older. The median age for the city was 36 years. For every 100 females, there were 98.4 males. For every 100 females age 18 and over, there were 96.4 males. The city's median household income was $63,830, and the median family income was $74,120. The per capita income for the city was $33,238. The Henderson zip code 89012 where MacDonald Highlands is located, has the 7th highest per-capita income in the United States at $148,899. About 3.9% of families and 5.6% of the population were below the poverty line, including 6.4% of those under age 18 and 4.7% of those age 65 or over. An increasing number of major shopping malls, movie theater complexes, concert venues, restaurants and casino resorts offer residents a variety of choices for leisure time in Henderson. 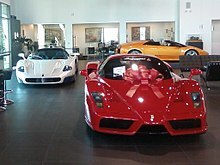 The city also sits a few miles southeast of Las Vegas and is not too far from the world-famous Las Vegas Strip. "Shakespeare in the Park" celebrated its tenth anniversary in 1996, a testament to Henderson's long-standing support for the arts and cultural programs. The city also boasts the largest recreational facility – the Multigenerational Facility at Liberty Pointe – in Nevada as well as Nevada's only scenic Bird Preserve. The city supports a variety of other cultural events, many of which are held at the outdoor amphitheater, the largest one of its kind in Nevada. Henderson is frequently featured on the TV drama CSI: Crime Scene Investigation as the location of residence of a victim or other person of interest, although the majority of the show's filming takes place in California. The documentary Real CSI featured the Henderson Police Department (HPD) Crime Scene Analysts/Investigators. The 1998 film Lethal Weapon 4 used Interstate 215 as a filming location. A scene in the James Bond film Diamonds Are Forever in which Bond (Sean Connery) is nearly cremated alive was filmed at Palm Mortuary's Henderson location. Later in the movie, he is dumped into a pipeline, which was filmed near Lake Mead Boulevard. The construction office for the Lake Mead to Las Vegas water pipeline was there during the building of the pipeline and the filming of the movie. America's Sweethearts, starring Julia Roberts and John Cusack, featured many scenes filmed at Lake Las Vegas. Paranormal Activity 4 takes place at the home of a wealthy family in Henderson. The entrance to MacDonald Highlands in Henderson. Henderson has more than 37 miles (60 km) of trails. The city received its charter from the Nevada State Legislature in 1953, formally incorporating the city with a council/manager form of government. Henderson is divided into four wards. A mayor and four council members are elected citywide, but no more than one council member are allowed to reside in each ward. Lorna Kesterson was elected as Henderson's first female mayor, serving two terms until 1993. 1975 Richard A. Stewart, Sr. In 2013, the Department of Justice (DOJ) announced it had reached a cooperative settlement agreement with the city of Henderson under the Americans with Disabilities Act (ADA). The DOJ received complaints by individuals who are deaf that officers for the city of Henderson did not provide them with qualified sign language interpreters and other auxiliary aids and services when needed for effective communication. One of the complainants was arrested and detained for two days in the Henderson detention facility, while the other was an alleged crime victim. During its investigation into the allegations, the department inquired whether the city of Henderson would be interested in resolving the matter voluntarily. The city expressed its full commitment to ensure compliance with the ADA. Under the settlement, the city of Henderson will pay $35,000 to the complainants. The city agreed to provide sign language interpreters, usually within an hour of a person's request to law enforcement officers. Henderson also agreed to modify its handcuffing policies for people who use sign language or hand writing to communicate, and to adopt other policies consistent with the ADA. The Clark County School District provides elementary and secondary public education. Henderson is the location for 29 elementary schools, nine middle schools, and nine high schools. Five of the nine high schools are public schools. The remaining four are private college preparatory schools, including the Henderson International School. A tenth high school, Silverado High School, also serves parts of Henderson but is in the unincorporated Clark County (Paradise). Findlay Prep is a high school basketball program sponsored by the Henderson International School. Henderson International School - a private preparatory school owned by Meritas (education) - hosts Findlay College Prep. since its creation in 2006 by businessman Cliff Findlay, its dozen students comprise the school's only high school students. Findlay has had several McDonald's All-Americans and alumni playing in the National Basketball Association (NBA). Henderson is home to several colleges and universities. Nevada State College, a baccalaureate college in the Nevada System of Higher Education. The Roseman University of Health Sciences, a private university which awards degrees in nursing, pharmacy, and business, is in Henderson. The College of Southern Nevada, a community college based in Las Vegas, maintains a branch campus in Henderson. 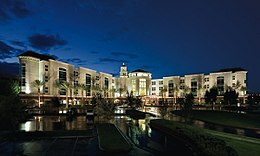 California's National University, Touro University Nevada and Devry University also maintain a campus in Henderson. Several for-profit colleges also operate in the city, including the International Academy of Design & Technology (Henderson campus closed in 2016), The Art Institute of Las Vegas, and Everest College. Founded in 2002 on a 509-acre (2.06 km2) site in the southern foothills of Henderson, Nevada State College offers academic programs regular and accelerated nursing degrees, education degrees, and liberal arts majors including psychology, biology, history, English, criminal justice, and an Occupational Therapy joint degree program with Touro College. Its first permanent building, the Liberal Arts and Sciences building, opened in August 2008. Nevada State College's full-time faculty is 34.2% ethnic/racial minorities, which is the highest percentage of all colleges of the Nevada System of Higher Education institutions. The college realized accreditation through the efforts of its late President Dr. Fred Maryanski. KVVU-TV (channel 5) is the Las Vegas Valley's Fox affiliate and licensed to Henderson, and is based from studios on the northwest side of the city. Henderson is served by four major highways: Henderson Black Hills and (State Route 582), which is the main thoroughfare connecting with Las Vegas and Boulder City; Lake Mead Parkway (State Route 564); Interstate 515 and Interstate 215. State Route 146, also known as Saint Rose Parkway, connects Interstate 15 near Sloan with Interstate 215 in Green Valley. This stretch is formally a part of Lake Mead Parkway which is a direct link to Henderson for motorists traveling in and out of Southern California. The city of Henderson has a low percentage of households without a car. In 2015, 2.8 percent of Henderson households lacked a car, and increased to 5 percent in 2016. The national average was 8.7 percent in 2016. Henderson averaged 1.74 cars per household in 2016, compared to a national average of 1.8. Henderson is home for the Henderson Executive Airport. The main airport for the metropolitan area is McCarran International Airport, northwest of Henderson. In 1988, the PEPCON rocket fuel factory became engulfed in fire. Smoke was seen from 100 miles away, and two major blasts measured 3.0 and 3.5, respectively, on the Richter magnitude scale at observatories in California and Colorado. Investigators surveying the damage in the surrounding communities estimated the blast as similar to a 1-kiloton airblast nuclear detonation. Two people were killed. The explosion spurred the development of Henderson from industrial to the largely residential area it is today. There are no signs of the Pepcon explosion today, and the site now consists mostly of office buildings. ^ Moore, David. The Hoover Dam: A World Renowned Concrete Monument Roman Concrete, 1999. Accessed: 26 February 2012. ^ Lopez, Sandy (February 6, 2018). "Henderson finalizes land deal with Raiders". Las Vegas Review-Journal. Retrieved 2018-07-30. ^ "Geographic Identifiers: 2010 Demographic Profile Data (G001): Henderson city, Nevada". U.S. Census Bureau, American Factfinder. Retrieved October 15, 2014. 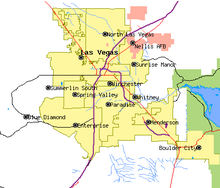 ^ "Henderson, Nevada Is No. 40 on MONEY's Best Places to Live list". Money. Retrieved 2019-01-30. ^ "Monthly Averages for Henderson, NV". Weather.com. Retrieved November 21, 2011. ^ Moffatt, Riley. Population History of Western U.S. Cities & Towns, 1850-1990. Lanham: Scarecrow, 1996, 156. ^ "Table 3. Annual Estimates of the Resident Population for Incorporated Places in Nevada: April 1, 2010 to July 1, 2011". census.gov. ^ "Henderson (city) QuickFacts from the US Census Bureau". ^ "Henderson, Nevada Economy". www.bestplaces.net. ^ "City of Henderson Comprehensive Annual Financial Report" (PDF). cityofhenderson.com. ^ Block, Marcelline (2011). World Film Locations: Las Vegas. Intellect Books. Page 16. ISBN 9781841505886. ^ Communications, Emmis (June 2001). Los Angeles Magazine. Emmis Communications. ^ "Wildhorse Golf Golf Course Henderson Las Vegas Golf". Wildhorse Golf. ^ Lyle, Michael (May 15, 2008). "Battle-born Henderson now 'A Place to Call Home'". Las Vegas Sun. ^ McMurdo, Doug (2012-01-17). "Former Henderson mayor Lorna Kesterson dies at 86". Las Vegas Review-Journal. Retrieved 2012-01-20. ^ Zvosec, Carla J. "City's first and only female mayor dies at age 86". Henderson Press. Archived from the original on 2013-01-03. ^ a b Department of Justice Office of Public Affairs (5 August 2013). "Justice Department Reaches Settlement with the City of Henderson, Nev. to Improve Law Enforcement Communications with People Who Are Deaf or Hard of Hearing". US Department of Justice. Retrieved 7 August 2013. ^ Abramson, Mitch. "Former Knick Jerome Williams coaches Findlay Prep, one of country's top high school basketball teams. ", Daily News (New York), 5 October 2013. Retrieved on 24 May 2015. ^ a b "From Rockets to Ruins: The PEPCON Ammonium Perchlorate Plant Explosion". NASA Safety Center System Failure Case Study. 6 (9). November 2012. Retrieved 7 August 2013. ^ "Chatting up Steve Aoki as he preps to celebrate his birthday at Hakkasan". lasvegasweekly.com. ^ Shipnuck, Alan (December 13, 2010). "The Mystery of Erica Blasberg". Sports Illustrated. Archived from the original on June 6, 2017. Retrieved July 23, 2018. ^ "Toni Braxton's House (former)". Virtual Globetrotting. ^ Associated Press (February 8, 2016). "Flavor Flav Pleads No Contest to DUI Charge in Las Vegas". Billboard. Archived from the original on July 23, 2018. Retrieved July 23, 2018. ^ McLean, Craig (2006-09-24). "Songs of praise". The Guardian. London. Retrieved 2010-05-04. ^ Kantowski, Ron (May 16, 2008). "One Tough Guy, Even When He Lost". Las Vegas Sun. Archived from the original on March 8, 2016. ^ "Pierre Omidyar's House". Virtual Globetrotting. ^ "Jermaine O'Neal's House". Virtual Globetrotting. ^ "Paul Pierce's House". Virtual Globetrotting. ^ "Mike Tyson spent $2.5M to move down the street". reviewjournal.com. 12 March 2016. ^ "Las Vegas Business Press". Las Vegas Business Press.